A medium strength Ceylon Tea, fragrant and with a slightly sweet almond finish. 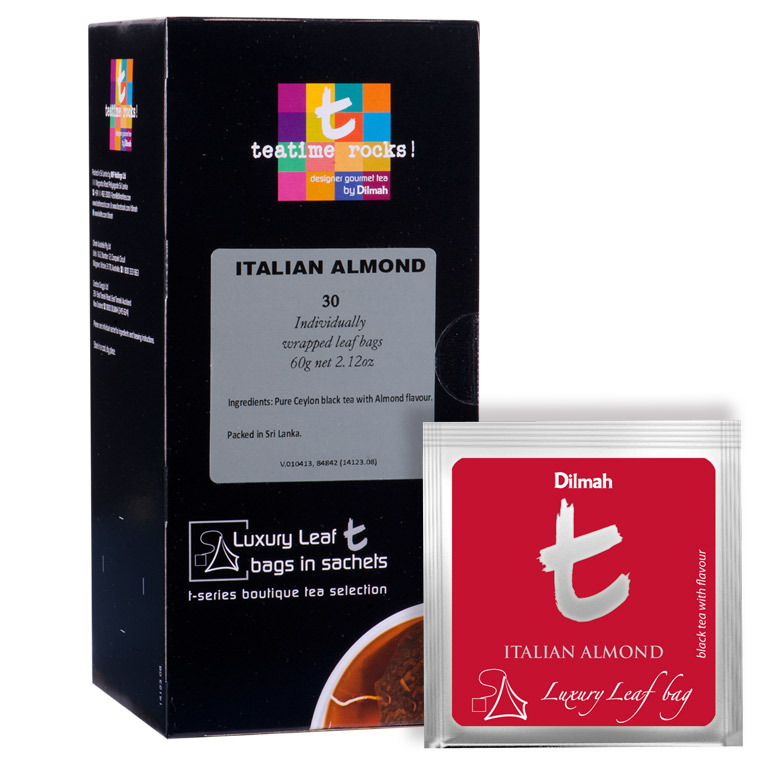 Mid-elevation Ceylon Tea from Dombagastalawa Estate fused with the bitter-sweet flavour of Italian Almond. The slightly malty Ceylon Tea produces a deep amber infusion which is enveloped by a deliciously piquant aroma of amaretto. The tea has a nutty, sweet edge with a rich body. Ideal taken with sweet cakes and pastries, or for something different, as a t-Shake, brewed strong, cooled and poured over vanilla ice cream.